April | 2008 | Value Investing In KLSE>Value Investing Made Easy! Pan Malaysia Corporation Berhad, an investment holding company, engages in manufacturing, marketing and distributing confectionery, and cocoa-based and other food products primarily in Malaysia, Australia, Singapore, and Hong Kong. It also involves in operating departmental and specialty stores, and property investment activities. 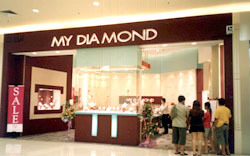 The company is based in Kuala Lumpur, Malaysia. PMCORP is in the process of restructuring.Recently,it posted a positive net income compared to losses in the last few year.Currently trading at P/E around 5,the attraction of PMCORP comes from its assets. Its book value is at around RM 0.45/share.This gives a safety margin of over 50% at current price of RM 0.19.The cash level is at RM 383 mil while total liabilities is at RM 334 mil.This means by paying off its liabilities,investors will own some of the assets (properties,businesses,subsiadiaries and fixed assets) at half the value plus a clean balance sheet. PMCORP should be trading at around RM 0.50 to RM 0.60 to avoid being a target of acquisition. Checkout its latest financial statement to view its subsiadiaries and assets. You are currently browsing the Value Investing In KLSE>Value Investing Made Easy! blog archives for April, 2008.